T-KING ZB1090JDE7F is a T3 series light truck model. 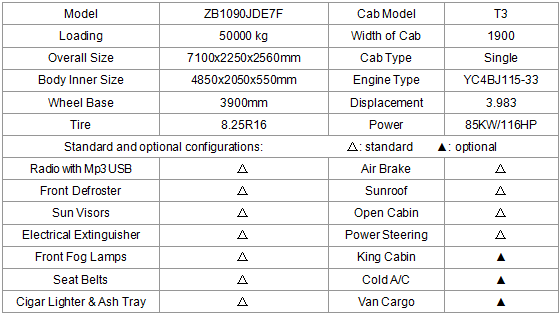 With a cargo body inner size of 4850x2050x550mm, it can be equipped with a single cabin or a king cabin. T3 Series Light Truck (Diesel Engine) adopts the 50-year specialized light truck manufacturing experience of T-KING Auto and integrates international state-of-the-art design philosophy and production technology, so it is more durable, comfortable and safe. 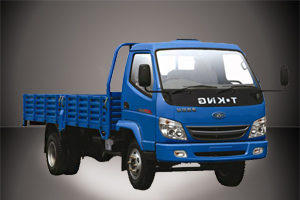 T-KING Auto endeavors to manufacture state-of-the-art light trucks which serve high-end urban and rural logistics.